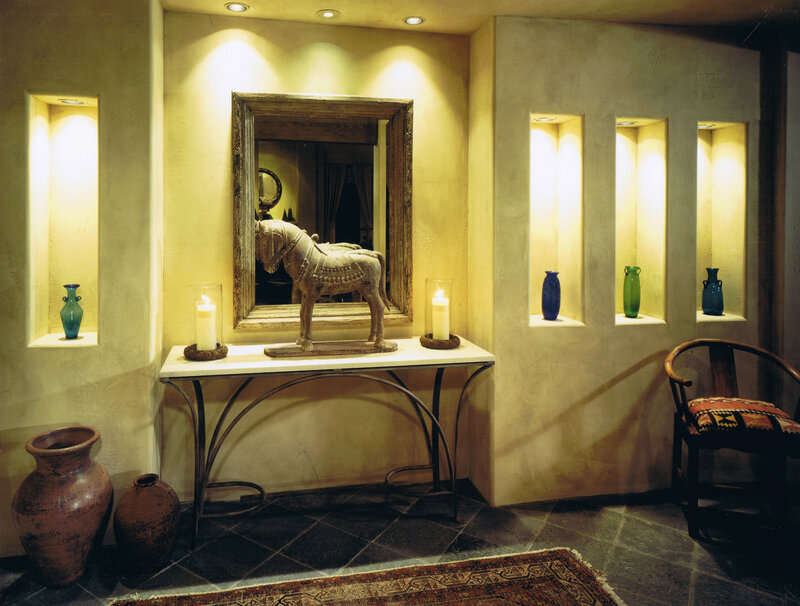 Sculptured hand-blown vases are showcased in the entry hall’s illuminated architectural niches. 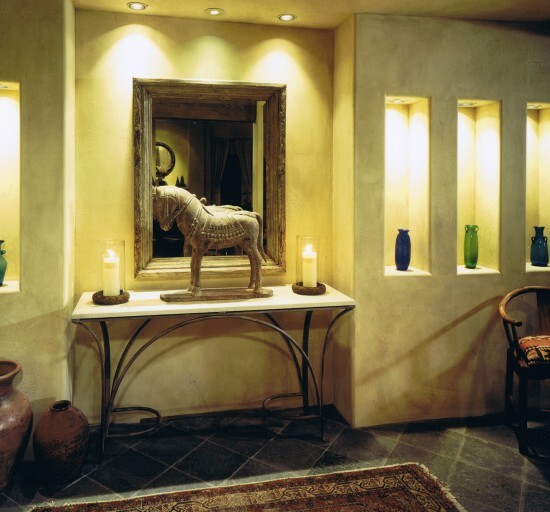 In this updated Mediterranean interior design mixed with modern cultural artifacts, designer Jim Walters gave walls the distressed look of an old Tuscan farmhouse complete with aging details like cracks and leaks. 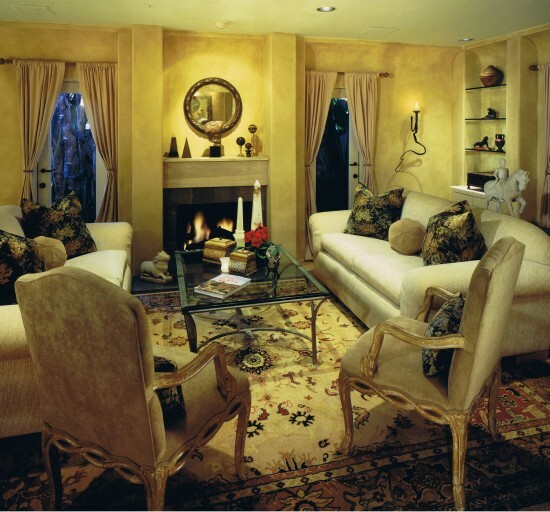 "Neutral fabrics on the sofa and chairs direct attention to the artwork and colorful area rug. Draperies hung from iron rods are kept simple to maintain focus on the art. 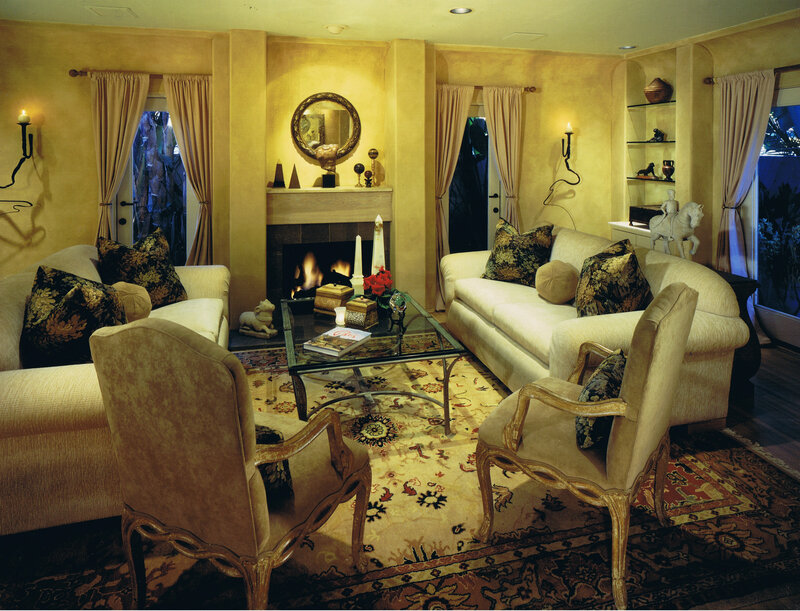 The light turquoise hue of the ceiling gives the room a lift."